The Off-Campus Housing Service strives to provide students/staff a variety of housing options with over 5,000 listings annually. This service is the #1 source for Western students to find off-campus housing. Find out more about us! The Off-Campus Advisors are a group of students employed by Western University. We exist to help students and their neighbours deal with issues related to living in the community. 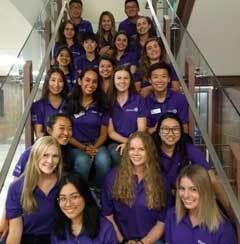 Find out more about Off-Campus Advisors! Find out more about Mediation Service!